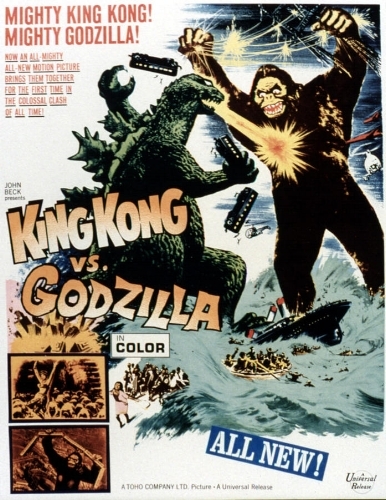 Old pal and Geek Stew host Matthew Charles comes aboard for a rambling talk on Ryan's first Godzilla movie, but the Godzillavangelists just want to cut poor drunken King Kong a break. Let the poor guy swim home and take a shower. Contrary to expectations, our next movie is the brand-new release Godzilla: Planet of the Monsters (2018)! Watch it on Netflix so you understand what the hell we're talking about. King Kong vs. Godzilla's Japanese version will come in Episode 8.